At Riverside Fire Equipment, we take care to provide our customers high quality services personalized for their unique needs. We are professional, courteous and efficient. The job isn’t completed until the customer is completely satisfied. All service work is guaranteed or we fix it at NO cost to the customer. ​Our goal is to provide our customers with quality fire extinguishers at a great value. As a result we are Buckeye Fire Equipment distributors. 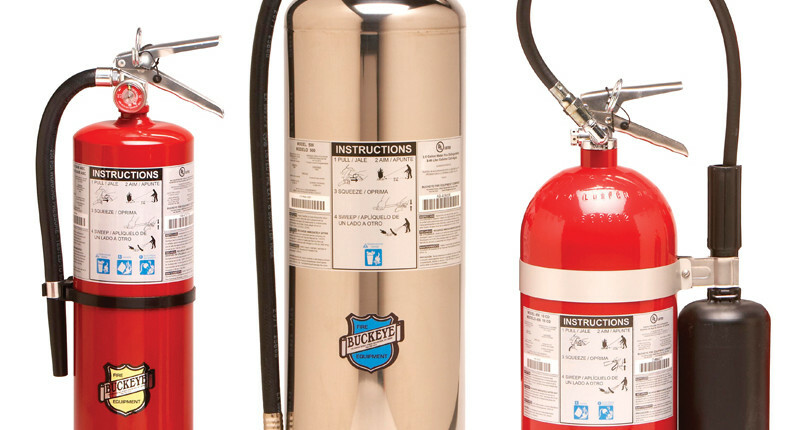 All hand held fire extinguishers are manufactured to meet UL’s rigorous standards for commercial hazard protection and backed by a six year manufacturer’s warranty. We provide our customers with Fire Extinguisher Hands On Training. How, where, when to use a fire extinguisher. What types of fires and which kind of fire extinguisher is right to use on that fire. The ABC’s of fire extinguishers and real life hand on training. P.A.S.S. Pull Aim Squeeze and Sweep. We will show you how to.